Created by Panerai’s Laboratorio di Idee, the LAB-ID Luminor 1950 Carbotech 3 Days features a carbon fiber composite case, a completely new deep black dial, and a movement needing no lubrication for 50 years. 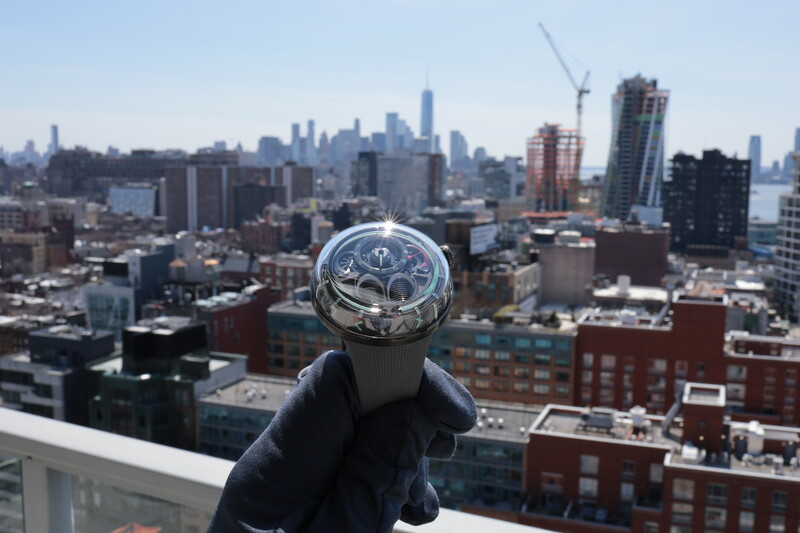 The 49 mm carbon fiber case, referred to as Carbotech, has already been in use on previous models, such as the Luminor Submersible 1959 Carbotech 3 Days Automatic that we reviewed in 2015. The 49 mm Luminor 1950 case has the same dense, uneven black surface, which is composed of very thin sheets of carbon fibre that are pressed together at a controlled temperature under very high pressure. 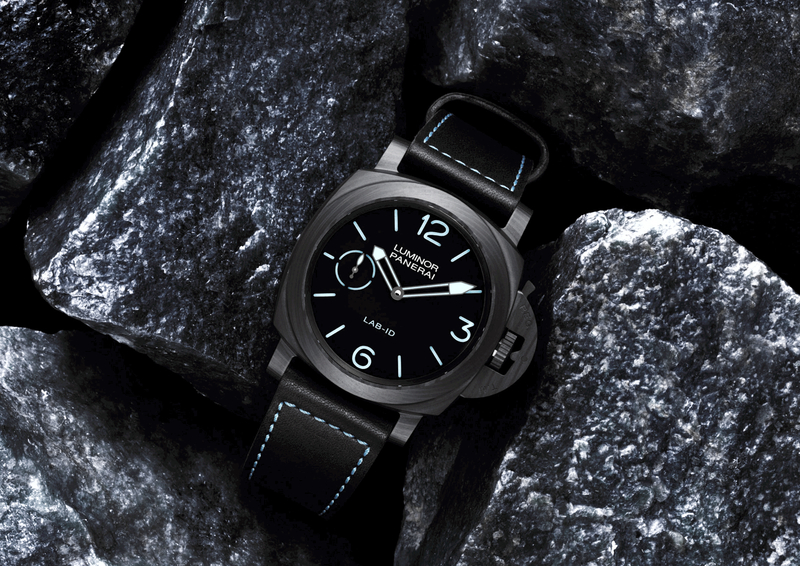 What is all new, is the dial which is covered in carbon nanotubes, and the movement which works perfectly without any lubrication for 50 years, according to Panerai. The dial has Panerai’s the classic sandwich construction, with a generous amount of blue-colored luminous material filling in the hour markers, small seconds subdial, and the hands. 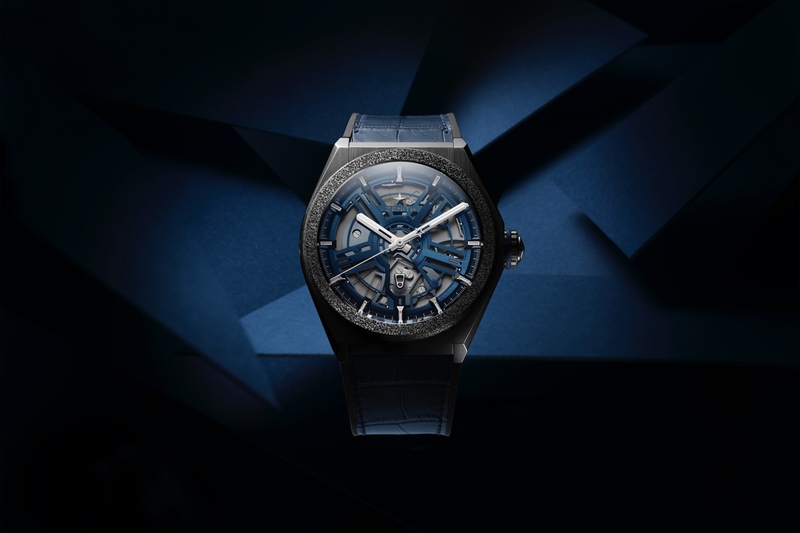 Enhancing the visibility is the high-tech dial which is covered with carbon nanotubes that make the dial ultra-black by absorbing light, reducing reflection to a minimum, and increasing the contrast between the dial and the luminous hands and markers. The new LAB-ID’s hour, minute, and seconds hand are powered by manually wound caliber P.3001/C which has a power reserve of three days, including an indication of remaining mainspring barrel energy on the back side of the movement. This watch represents the cutting edge of movement design at Panerai and features a semi-skeletonized structure and no need for additional lubrication thanks to numerous innovations. Interestingly, there are only four jewels. By using a wide range of solutions, specially devised for the individual parts of the movement and associated with the unique properties of carbon, the plates, bridges, barrels, escapement and anti-shock device use self-lubricating and dry lubricating materials, and are hence exempt from any liquid lubrication. Incredibly, according to Panerai, these solutions have eliminated the need for maintaining and overhauling the caliber, enabling Panerai to guarantee it for no less than 50 years. To remove the need for further lubricating the main bridges and the plate, these components are made of a completely new low friction composite which integrates a Tantalum based ceramic. This new generation of a composite is notable for its high percentage of carbon which minimizes pivot friction, making jewels and their related lubrication unnecessary. Two years of testing by the Laboratorio di Idee in the Panerai Manufacture identified the best type of coating – based on carbon – with which to treat the components of the two spring barrels of the P.3001 caliber, so as to make conventional lubrication superfluous. The solution was to use a series of layers and sub-layers of coating, the surface one being coated with DLC. Last but not least, a surface coating of DLC on the four jewels means that there is no need to further lubricate the Incabloc anti-shock device. 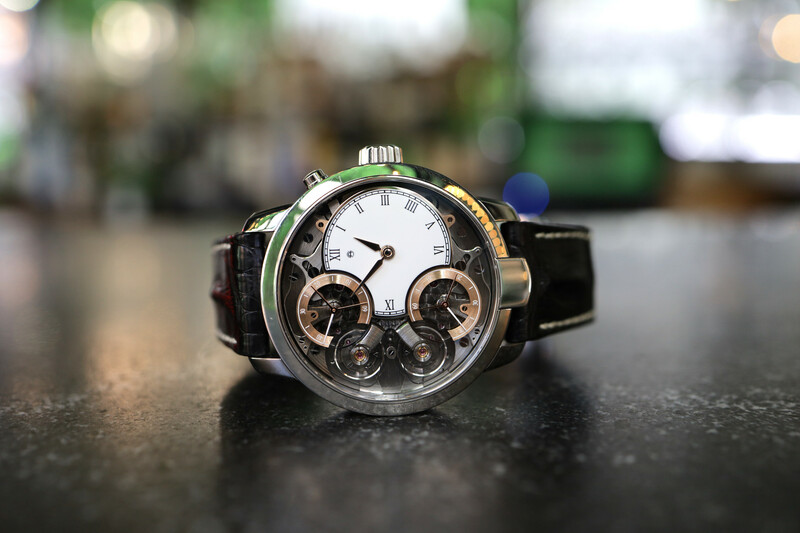 A distinctive feature of the movement is a balance wheel that is 13.2 mm in diameter, fixed by a bridge with dual supports and oscillating at a frequency of 3Hz. The new Panerai LAB-ID Luminor 1950 Carbotech 3 Days (PAM00700) is paired with a black leather strap, with contrasting all-around stitching in the same blue as the luminous details of the dial. This special edition is limited to 50 pieces.